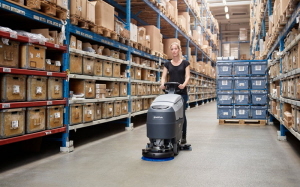 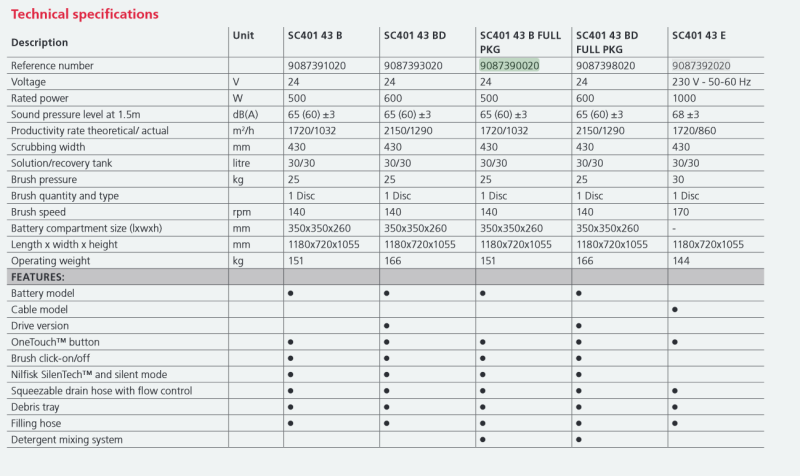 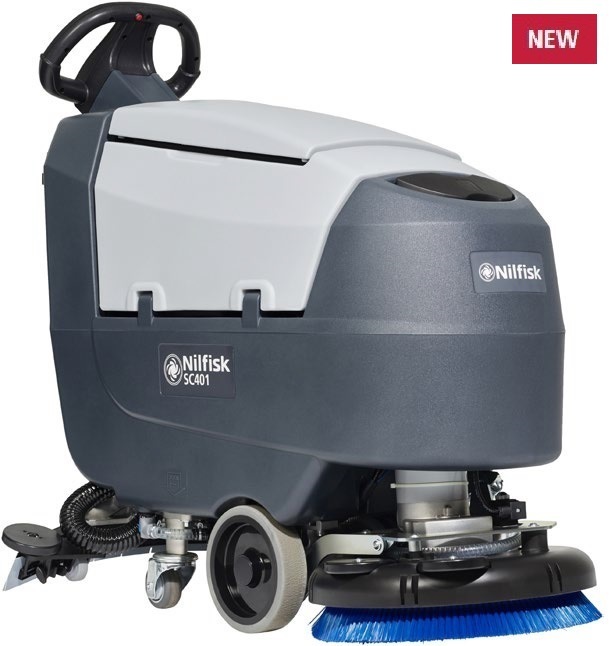 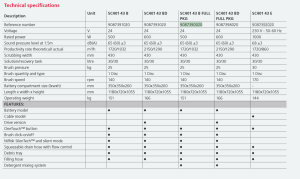 The high and consistent performance is ensured by the 43 cm scrub deck equipped with brush or pad. 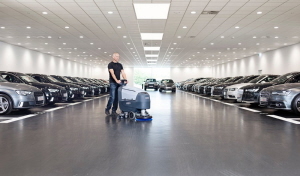 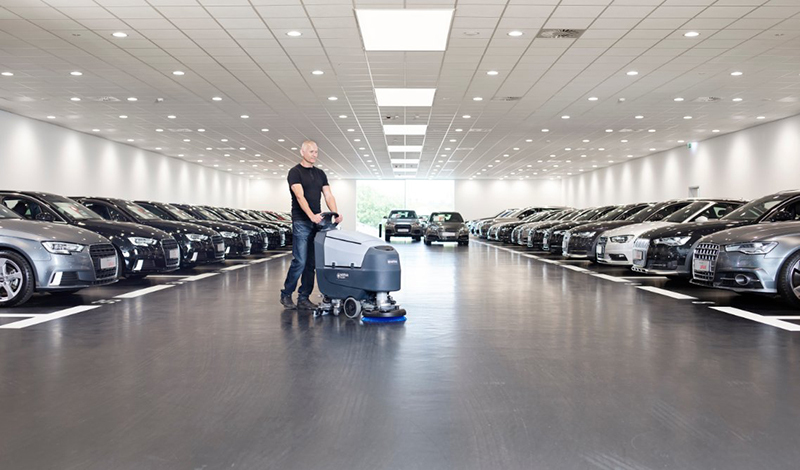 With its superior water pick-up provided by the curved squeegee system the floor is left completely dry. 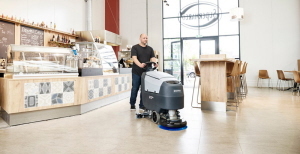 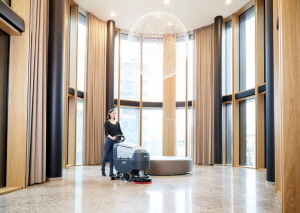 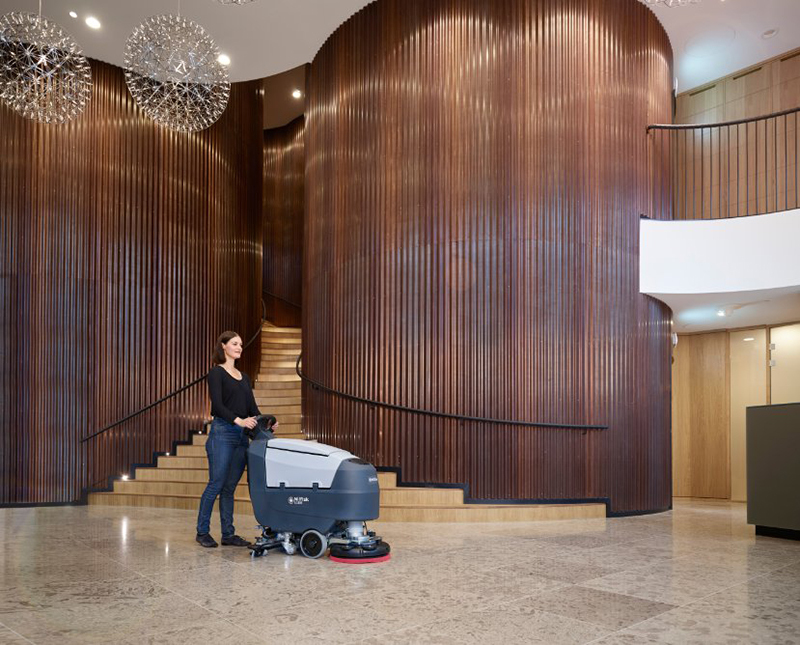 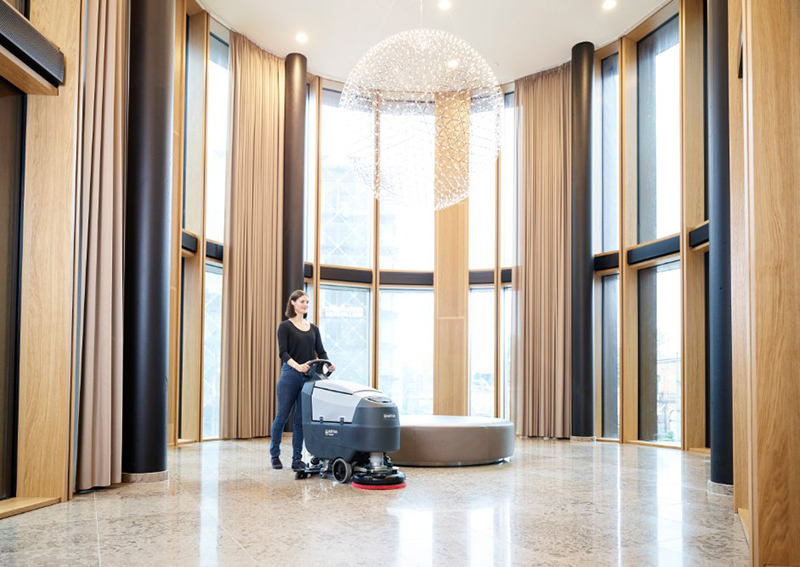 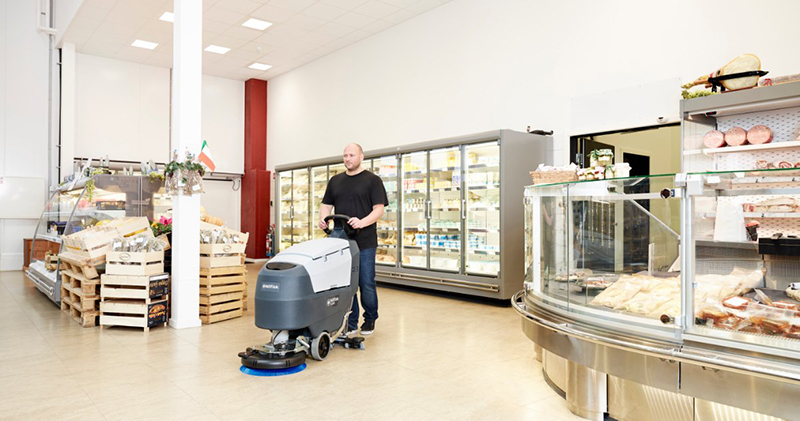 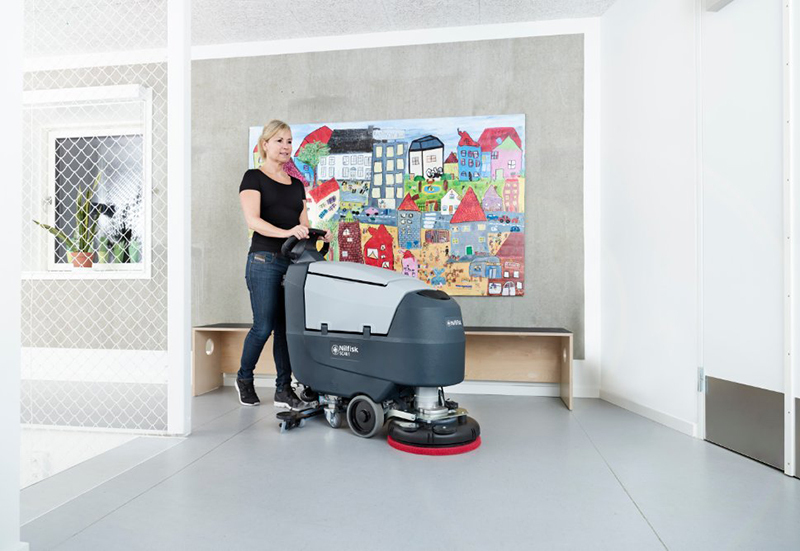 You can keep up the good work for a long time: Up to 4 hours of continuous scrubbing and drying on a fully charged battery, and up to 100 minutes before the solution tank needs to be refilled.